Exploring the transformative power of sound and images, The Pharmacia Poetica demonstrates how the literal becomes the lyrical and in so doing, cures. Like any apothecary, the Pharmacia Poetica offers a mixture of remedies: sound, poetry, metalanguage, images, and objects, the main feature of which is a collection of glass bottles in which the hidden beauty of commonplace objects, suspended in liquid, is revealed. Inspired by the writing of Paracelsus and Marsilio Ficino, the Pharmacia first appeared in 1987 as an exhibition in a storefront gallery in Hollywood and as a radio play on KPFK in Los Angeles. Since then, Pharmacia Poetica has travelled throughout the United States and Europe, often in collaboration with other visual artists and writers. 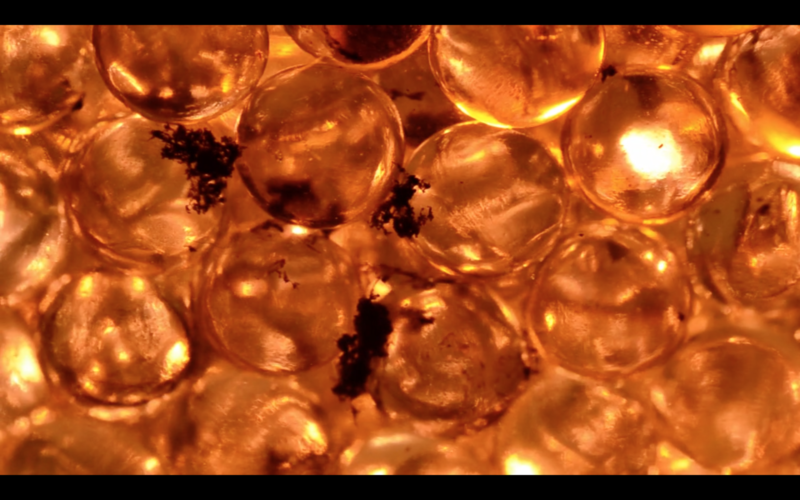 Liquid Architecture x NOW NOW will present Pharmacia Poetica with musician, writer and artist Megan Clune at 107 Projects for a special performance with footage by Hans Diernberger and Will Saunders that allows the audience to ‘swim’ in a constellation of bottles. Presented by Liquid Architecture and the NOW Now in association with MOFO 2018. A Liquid Architecture project curated by Cara Stewart, as part of the NOW Now Festival.